You are here: Home / Epilator / Braun Silk Epil 9 Review: Is It Worth the Price? Braun Silk Epil 9 Review: Is It Worth the Price? In the quest for the best epilator, the Braun Silk Epil 9 might be the one that is close to perfect. It is the newest Braun’s epilator. After several not so amazing epilators, it seems as if Braun finally got it right. Braun looked at the qualities we want and delivered, but it will cost you more than an average epilator. Best of all, the Braun Silk isn’t just an epilator – you are purchasing a full spa kit. You will soon wonder why this is the new standard for epilators and why it is worth the price. What Comes With the Braun Silk? How to Get the Best Results with the Epil 9? 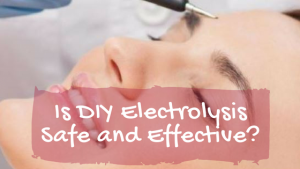 How to Use the Exfoliating System? Braun didn’t miss a trick when they make their Epil 9. It has all the features we want. It is a wet and dry epilator, meaning that you can use it in the shower or bath safely. The Silk Epil 9 stands out from the rest because of its wide head. Braun created the epilating head to be 40% wider than the competition, which allows you to cover more area and work faster. If you are removing unwanted hair from your legs, you’ll finish the job quickly. When comparing the top 10 epilators, we see that the Braun Silk is more comfortable to use. It is lightweight and ergonomically shaped, which makes it easy to move around the natural shape and curve of your body. You can use it at odd angles to reach all places. The head pivots, so all the tweezers can pick up as many hairs as possible. Their 40 tweezer head picks up hair as short as 0.5mm, which is four times shorter than the length required for professional waxing! If you’re struggling to find those super short hairs, Braun has a built-in smart light that you can shine onto your skin.Are you worried about the pain? Braun added a pulsating massager that massages the skin as you move the epilator. The goal is to reduce any pain you might feel. While it doesn’t remove all pain, those experienced in epilating will notice a difference.The Epil 9 brings a new standard to the market. Braun included a variety of attachments and accessories with their epilator, making it an all-in-one system. You can use it for epilating and exfoliating. Just like any products, there are downsides. You cannot use this while plugged in or charging. That might be a safety measure because it is a wet and dry epilator, but there is the chance you will run out of battery life before you finish epilating. The battery is the largest disappointment overall. Make sure that you charge it fully because no one wants only to have one leg finished. It does take an hour to charge fully, giving you approximately 40 minutes of use. MicroGrip Technology: With microgrip, you can pluck hairs as short as 0.5mm. 40 Tweezer Head: Multiple tweezers allow the epilator to pluck as many hairs as possible with each pass. plusWet & Dry: You can use the epilator in the shower or bathtub. You can use it with gels and cream as well. plusErgonomic Shape: No matter how you hold this epilator, it will feel comfortable in your hand. The head pivots to meet odd angles. plusWide Head: Braun made the head of this epilator 40% wider, so you can epilate faster and more efficiently. Two Speed Settings: You can pick a slower setting for sensitive areas and the faster setting for larger areas, like your legs. plusPulsating Massage Head: The massaging head helps to reduce the pain you might feel while epilating. The Braun Silk is more than just an epilator; it is also a skin exfoliating system. There are several accessories included with the Silk. 1Two Exfoliating Brush Heads – There is a blue and a purple exfoliating head. The blue is the main brush you want to use. It has firm bristles and is meant to be used for deep cleaning and exfoliating of the skin. The purple head has softer bristles and is meant for the skin on sensitive areas. 2Shaver Head – so you can turn the epilator into a shaver. Braun didn’t mess around with quality. Their shaver head is everything you would want. You can use it around the pubic area and other sensitive areas. 3Trimmer Cap – You can put over the shaver head if you don’t want to trim so close to the skin. 4Power Cap – It ensures you get maximum skin contact for faster epilating. 5Facial Cap – This is essential if you want to epilate smaller areas with some precision like your upper lip. You are spending quite a bit of money when you purchase the Braun Silk, so you want to get the best results. Here are some tips. Make sure you have a fully charged battery. Epilators use a lot of power, and the Silk takes an hour to charge. You don’t want it to die before you finish. Epilate in the evening. Many people get small, red bumps on their skin for 30 minutes to two hours after epilating. It is normal, but you might not want your legs to look red and bumpy when you head to work in a skirt. Prepare for the pain. Even though this epilator is less painful than the cheaper options, no epilator is painless. Try the tips below. Always start on the lowest setting. That means things will go slower, but it will be less painful and easier for newbies to learn how to use. Lowest settings are better for sensitive areas while higher speeds are better for large areas like your legs. chevron-rightKeep the skin taut, which makes the skin stand up. The tweezers have an easier time catching and pulling out the hair from taut skin. chevron-rightUse the epilator at a 90-degree angle. This angle makes it easier for the epilator to pluck the hairs. It should be perpendicular to your skin. chevron-rightGo Against the Grain. The most effective way to use an epilator is against the direction your hair is growing. It can be hard to tell the direction of hair growth. That’s why Braun’s built-in light makes it much easier to see the hair growth. chevron-rightDon’t push downwards. All you need to do is gently glide the epilator across your skin. It will work. Don’t press it down against your skin because you might pinch your skin with the tweezers. Ouch! Before you use the Silk 9, you want to make sure you exfoliate. Braun makes that easier with their two included brushes. If it’s been awhile since you exfoliated, put on the blue brush head. It is best used before epilating. The blue head removes any dead skin cells, ensuring all of the hair is loose and ready to be removed. If you plan to epilate in a sensitive area such as your bikini line or underarms, you will want to attach the purple exfoliating head. It has softer bristles and is designed for sensitive skin. To attach the brush heads, click the release button on the back of the epilator. That button removes the spinning tweezers. Then, click the brush head you want to use on, and you are ready to exfoliate! The Braun Silk Epil 9 skin spa is six times more effective than manual exfoliating. The results are comparable to professional exfoliation; it is so thorough. You can exfoliate once a week. Epilating will never be pain-free, but there are some ways you can try to decrease the pain. Braun’s massaging head will help. Here are some other tips. Take a warm shower or bath beforehand to help relax your skin and open up the pores. It makes the hair softer and easier to remove. Try using the Epil 9 in the shower. It will take a bit longer, but you will notice a difference in the pain level. Try waxing a week before the first time you ever use an epilator. The hair will grow back weaker and thinner, making it easier for the epilator to pull for the first time. Always keep your skin taut because it lifts the hair up, making it easier for the epilator to catch. chevron-rightIf you are a very sensitive person, you might want to purchase a special numbering cream. People undergoing surgery uses them. You apply it an hour before epilating, and you won’t feel much pain at all. Is It Better to Use as a Wet or Dry Epilator? Luckily, Braun gives us the option to use in either scenario. It is more effective to use an epilator in dry conditions after a hot shower because the hairs are easier to pick up. On the flip side, it is more painful to epilator on dry skin. Also, it is more convenient to epilate in the shower while you are already in there washing your hair and body. It is a matter of personal preference. How Does the Exfoliating System Work? Prepare to be impressed by the Braun exfoliating system. The brush head oscillates at 3,000 vibrations per minutes. 10,000 high-performance bristles evenly spreads gels and scrubs. Using the exfoliating system helps to reduce the chance of ingrown hairs and helps to restore your skin. Absolutely! It may seem as if it is designed primarily for females, but the Braun Silk is so powerful it has no issues picking up man’s hair. The Braun Silk Epil 9 vs 7 picks up the shorter, coarser hair that men tend to have much better than other epilators. Where Can I Use the Epil 9? Due to the different accessories and design, you can use the Epil 9 on any part of your body. It is more customizable than other epilators. You can use it on your legs, arms, bikini area, upper lip, and more! The multiple different heads allow you to use it wherever you want. The shaver and trimmer head makes it perfect for sensitive areas.It is important to remember that there will always be hairs that epilators cannot remove. Some hairs are so fine and soft that they are consistently left behind. You might have to put on the trimmer or shaver head to remove those hairs. Will I Feel Pain During Epilating? Epilators remove the hair from the root. Due to the process, you are going to feel some pain. The pulsating massager included does help to remove some pain, but epilating is never a pain-free experience. ​What Are the Speed Differences? Braun included two different speeds. You select the speed for your individual needs. Speed 1 is meant for extra gentle epilation. It’s the best choice for sensitive areas such as your bikini area or facial hair. Speed 2 is for the extra efficient epilation. You might use speed 2 for your legs or arms. How Often Do I Need to Use the Epilator? The design of this epilator means you can go as long as four weeks between each epilation. It will depend on your typical hair growth. What Are The Differences Between the Braun Silk Epil 9 v 7? If you’ve used the Silk Epil 7, you might wonder if there is any reason for you to purchase the Epil 9. One of the biggest difference is the tweezers. The 9 has a 40% wider head, so you can cover more skin and make the epilating process faster. On the 9, the tweezers are larger, shaped differently and have a different position. Another difference is that Braun used a microgrip tweezer technology, rather than the close-grip technology, that can remove hair as short as 0.5mm. Are you asking yourself if it worth the price? After this Braun Silk Epil 9 review, the overall answer is yes! It is clear why this epilator stands out in the crowd. You get more than an epilator. You also get an exfoliator and a shaver. The accessories and versatility of this tool make it truly worth the extra price. Braun listened to our needs and delivered. They knew what women and men wanted in an epilator and created the Epil 9. With the wider head, 40 tweezers and accessories, Braun hit it out of the park. If you are on the fence about purchasing it, click buy! It is worth it.